SAN ANGELO, TX – Nineteen suspects were arrested and booked into the Tom Green County Jail on Wednesday. The Tom Green County Sheriff's Office, the San Angelo Police Department and the Texas Department of Public Safety made multiple arrests for possession of a controlled substance. Out of the 445 beds, 403 of them are occupied as of Thursday morning. 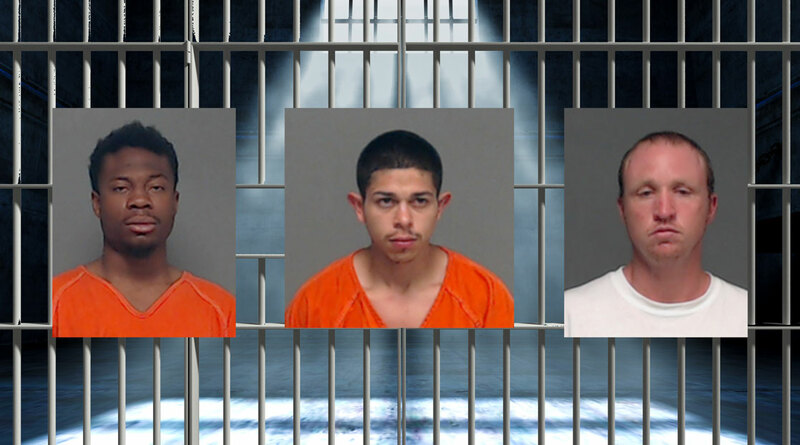 Jose Flores was arrested for possession of drug paraphernalia at 12:27 a.m. His bond was set at $642 and was released at 10:13 a.m.
Arvion Thomas was arrested for possession of drug paraphernalia and RPR criminal trespassing at 12:58 a.m. His bond is set at $642. Misty Ball was arrested for possession of a controlled substance and possession of drug paraphernalia at 1:20 a.m. Her bond is set at $8,142. Juliana Antu was arrested for driving while license invalid with a pervious conviction at 2:58 a.m. Her bond was set at $500 and was released at 5:28 a.m.
Monica Garcia was arrested for possession of marijuana, RPR possession of marijuana, possession of a controlled substance, and possession of drug paraphernalia at 3:09 a.m. Her bond is set at $16,642. Hollie Liebschwager was arrested for possession of a controlled substance at 3:13 a.m. Her bond was set at $15,000 and was released at 4:43 p.m.
Roy Munoz was arrested for possession of a controlled substance and violation of a protective order at 3:19 a.m. His bond is set at $42,500. Amber Tucker was arrested for criminal mischief and theft at 10:33 a.m. Her bond was set at $1,000 and was released at 12:13 p.m.
Gary Sykes was arrested for MTR possession of a controlled substance and possession of a controlled substance at 12:42 p.m. His bond has not been set at this time. Michelle Perez was arrested for failure to display drivers license and speeding at 2:16 p.m. She was released without bond at 7:28 p.m.
Donald Short was arrested for possession of a controlled substance at 2:28 p.m. His bond has not been set at this time. Daniel Clift was arrested for possession of a schedule one and three controlled substance, displaying fictitious vehicle registration, driving while license invalid, expired registration, no proof of financial responsibility, and possession of drug paraphernalia at 3:12 p.m. His bond is set at $4,090. Jeremy Joiner was arrested for eight MISC CPF at 5:06 p.m. His bond has not been set at this time. Alajo Raya was arrested for J/N driving while license invalid with a previous conviction at 5:34 p.m. He was released without bond at 8:58 p.m.
Emily Arredondo was arrested for MTR possession of a controlled substance at 7:02 p.m. Her bond is set at $3,500. Alicia Mendoza was arrested for assault that caused bodily injury to a family member and three FTA at 8:04 p.m. Her bond has not been set at this time. Emmenuel Lopez was arrested for MTR assault to a family member at 8:42 p.m. His bond has not been set at this time. Trevion Hogg was arrested for possession of marijuana and manufacture and delivery of a controlled substance at 10:03 p.m. His bond has not been set at this time. Juan Quintana was arrested for possession of a controlled substance at 10:27 p;m. His bond has not been set at this time.